Working as a sole trader and being self-employed can be liberating as you can work your own way, when and where you want but it also means you will be responsible for all liabilities and your income is reliant on you being able to work. So, taking out insurance to protect you from any claims of compensation, cover your equipment and possibly protect your income could be an essential business expense. Depending on your business you may be legally required to have public liability cover if you work in public spaces or people’s homes, or members of public come on your premises. We have explored what some of the insurance providers can offer sole traders and the self-employed. The table below gives a quick comparison of the top UK providers for self-employed and sole trader insurance. Some of the features and benefits of Aviva’s self-employed and sole trader insurance. Aviva is an insurance provider that offers a broad range of business insurance that is tailored to meet the needs of a variety of businesses including self-employed or sole traders. They offer tailored insurance designed specifically for the self-employed which includes contractors, freelancers and sole traders. Aviva’s self-employed insurance includes public liability insurance with up to £5 million cover; tools, stock and business equipment insurance up to £30,000 cover; and professional indemnity insurance up to £2 million cover. They also allow you to add other cover to the policy so that it can meet all your needs, such as business income, employer’s liability, vehicle, buildings and contents insurance. Some of the features and benefits of AXA’s self-employed and sole trader insurance. AXA is an insurance provider that offers a variety of business insurance that is tailored to specific businesses needs and this includes self-employed insurance. Their self-employed insurance is designed specifically for the self-employed and caters for both existing and new self-employed businesses. AXA’s self-employed insurance enables businesses to select what cover they want to include from public liability, employer’s liability with £10 million cover as standard, and professional indemnity insurance. They also allow you to add appropriate optional extras such as tradesman cover (tools, plant and equipment), business equipment cover, personal accident cover, breach of confidentiality and infringement of copyright cover. Some of the features and benefits of Direct Line for Business’ self-employed and sole trader insurance. Direct Line for Business is an insurance provider that has a range of business insurance that is designed for smaller businesses. They offer contractors and freelance insurance that is suitable for the self-employed and sole traders. You can manage your insurance online and access your documents at any time for evidence for clients. Direct Line for Business’ contractors and freelance insurance has been created as a build your own insurance package where you can select the cover included. The package includes public liability insurance up to £10 million, employer’s liability insurance, professional indemnity, contents and stock, business interruption up to £25,000, cyber cover and legal expenses. Some of the features and benefits of Zurich’s self-employed and sole trader insurance. Zurich is an insurance provider that offers a variety of business insurance that is designed for specific trades or professions as well as general insurance products. They offer a tailored package for trades and professions that are designed for businesses with up to 15 employees and a turnover below £1.5 million. Zurich’s trades and professions insurance includes public and product liability with cover of £2 million which can be extended to £10 million and it also includes data protection cover as standard. They also offer a range of optional cover such as personal accident, contractors’ all risks and business contents insurance. Some of the features and benefits of Ageas’ self-employed and sole trader insurance. Ageas is an insurance provider that offers a wide range of business insurance that can be tailored to meet your business needs by letting you select what cover you want to include in your policy. They offer tradesman insurance that is suited to the self-employed that are working in a trade. Ageas’ tradesman insurance offers a wide variety of insurance cover for you to choose between which includes public and product liability, employer’s liability, tools which covers all risks and stock in transit, contractors’ all risks contract works and plant, legal expenses, personal accident and business interruptions. Some of the features and benefits of Lloyds Bank’s self-employed and sole trader insurance. Lloyds Bank is a financial provider that also offers business insurance in partnership with Arthur J. Gallagher which includes specific insurance products tailored to the needs of particular businesses and professions. Lloyds Bank sells their insurance directly to businesses and they make it easy to purchase and tailor the cover to your needs. Lloyds Bank’s public liability insurance for tradesman and self-employed is designed to offer basic liability cover that can be extended to cover a wider range of insurance to provide greater protection for your business. Additional cover can include employer’s liability and professional indemnity insurance. Some of the features and benefits of Liberty Mutual’s self-employed and sole trader insurance. Liberty Mutual is an international insurance provider that offers a range of specialist insurance products for businesses which includes business owner’s policy. This policy is designed for small businesses which include those that are sole traders and the self-employed. Liberty Mutual’s business owner’s policy has been designed to give small businesses the basic coverage that they need to operate as it covers their property and liability cover. The property insurance covers the property regardless of whether you own, lease or rent and it covers the fixed equipment and signage through to your inventory. Liability insurance protects your business from the costs of claims and compensation. Some of the features and benefits of Covea’s self-employed and sole trader insurance. Covea is an insurance provider that offers a range of small business insurance products that cater for specific trades or professions. They offer tradesman and professionals’ insurance to a wide variety of small businesses through to the self-employed which includes manual, clerical and professional trades. 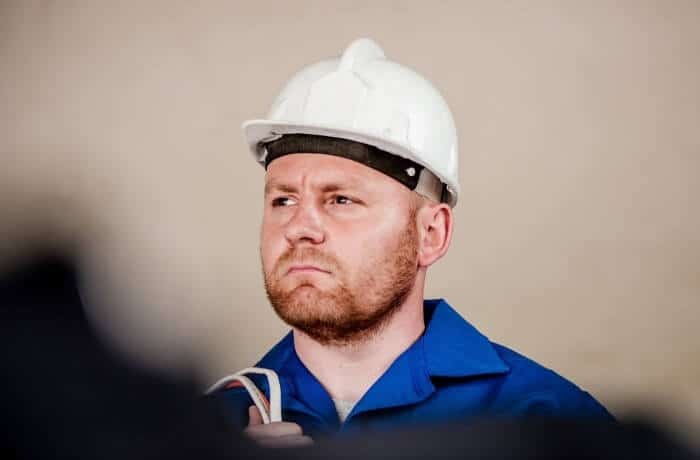 Covea’s tradesman and professional’s insurance offers public and product liability insurance as standard with complimentary accidental death cover as well as a range of optional cover to provide greater protection. They offer a variety of extra cover to choose from which includes employer’s liability, tools, goods in transit, contract works, own plant and hired plant. Some of the features and benefits of Hiscox’s self-employed and sole trader insurance. Hiscox is an insurance provider that offers a range of business insurance products to protect businesses from liabilities and claims that can damage the business and its reputation. This includes self-employed insurance which is designed for freelancers, self-employed and sole traders. Hiscox’s self-employed insurance caters for a wide variety of businesses with cover that will be tailored to meet your profession’s needs. The cover can include public liability and professional indemnity insurance as well as a range of optional cover such as office insurance, contractors’ insurance, employer’s liability, personal accident, portable equipment, office contents, cyber and data risk insurance. Some of the features and benefits of Markel direct’s self-employed and sole trader insurance. Markel direct is an insurance provider that offers a range of business insurance products that are designed for smaller businesses. They offer specialist cover such as freelancer and contractor insurance that caters for freelancers, consultants, designers and contractors. The cover can be tailored to meet your needs as you can select the cover you require to make your own package. Markel direct’s freelancer and contractor insurance offer a variety of cover which includes professional indemnity insurance, public and product liability, employer’s liability insurance, directors and officers’ insurance, office insurance, occupational personal accident, legal representation and employment disputes, cyber and data risks insurance. Some of the features and benefits of Churchill’s self-employed and sole trader insurance. Churchill is an insurance provider that offers a range of business insurance catering for smaller businesses with tailored insurance for specific professions or trades. They offer public liability insurance that is designed for tradesmen and the self-employed including a variety of trade professions, consultants, therapists and creative professions. Churchill’s tradesman and self-employed professionals’ public liability insurance offers up to £10 million cover with a range of optional extras. Additional cover includes employer’s liability up to £10 million, equipment cover up to £10,000 per person, personal accident, business stock up to £5,000, contracts works up to £500,000, own and hired in plant cover up to £50,000. Some of the features and benefits of Vitality’s self-employed and sole trader insurance. Vitality is an insurance provider that specialises in health and life insurance policies and offers protection for individual employees. They offer sole traders all of their products so that they can benefit from the cover as much as larger businesses can. Vitality offers sole traders three types of personal protection cover. Life cover which gives your family a financial payout if you die or are diagnosed with a terminal illness. Serious illness policy offers cover for 178 conditions and will financially support you through your illness. Income protection cover will start paying out once you have been off work for seven days. Some of the features and benefits of ARO Insurance’s self-employed and sole trader insurance. ARO Insurance is an insurance underwriter that offers a range of business insurance through a network of insurance brokers. They offer tradesman insurance that is available to a wider range of professions that are based in Great Britain, Northern Ireland, Channel Isles and the Isle of Man. It is only available to businesses with under 10 employees, minimum 1-year experience and turnover below £750,000 per year. ARO Insurance’s tradesman insurance is available for tradesmen and professionals. It offers public liability insurance and employer’s liability insurance. The public liability insurance is set at £1 million but can be extended to £5 million. Employer’s liability offers £10 million of protection. Financial Disclosure: We may be paid a fee if you purchase insurance via the Simply Business link at the top of this page.